Omnilux™ | Advanced Laser MedSpa - Michael Salzman, M.D. 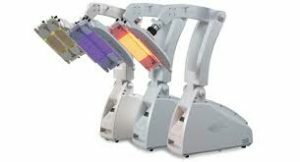 Omnilux™ is the most advanced light therapy used worldwide and is considered the gold standard. 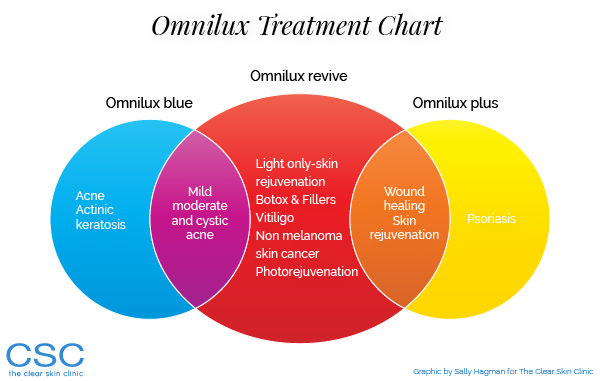 We offer the Omnilux™ revive™ (red), Omnilux™ blue™, and Omnilux™ plus™ (yellow) devices for in-office treatments. Each offers a different skin solution and can be used alone or in conjunction with other medical procedures. Each one of the different Omnilux™ light treatment is non-invasive, comfortable and effective. 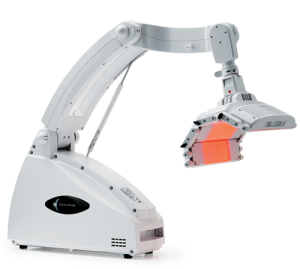 At Advanced Laser Medspa, we are one of the only providers of the complete Omnilux™ light therapy in the upstate NY. Omnilux™ treatments can be combined with almost any other Medspa treatment including, microdermabrasion, chemical peels, dermal fillers, and intense pulsed light (IPL) treatments. 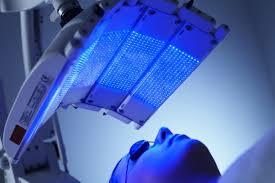 In fact, combining Omnilux™ light therapy treatments with other Medspa procedures can enhance and extend your results. Each treatment light panel delivers pure, natural light from the light spectrum and does not emit any UVA or UVB rays. This therapeutic light is positioned carefully, just above the treatment area and emits a comfortable warm sensation and gentle light in a 20-minute session. Omnilux™ treatments are so relaxing that many of our clients fall asleep during the treatment. For best results, a series of 8 Omnilux™ treatments spaced twice a week for 4 weeks is recommended. Omnilux™ Revive™ emits a therapeutic red light that helps to reduce skin redness, stimulates collagen production and decreases inflammation in the skin. For clients with acne or rosacea, a combination of Omnilux™ Revive (red)and Omnilux™ Blue™ as well as other medical procedures and cosmeceutical products can help to clear acne blemishes and calm red, inflamed skin. Omnilux™ Blue™ is most suited for acne clearing skin break outs as it lessens the bacterial sebaceous secretions and is calming to the skin area. It quiets acne skin inflammation and can be used in combination with Omnilux Red and micropeels and interacts with the skin as a calming service. In combination with Omnilux™ Red it treats acne vulgaris through its anti-inflammatory and anti-bacterial system. Omnilux™ Plus™ (yellow) can be used as a standalone treatments or in conjunction with other medical treatments such as micropeels or chemical peels. It is particularly useful for accelerating wound healing and treating psoriasis. Uses infrared light and improves cell turnover and collage production.